Please, find the original article on the website of The Circuit Climbing! 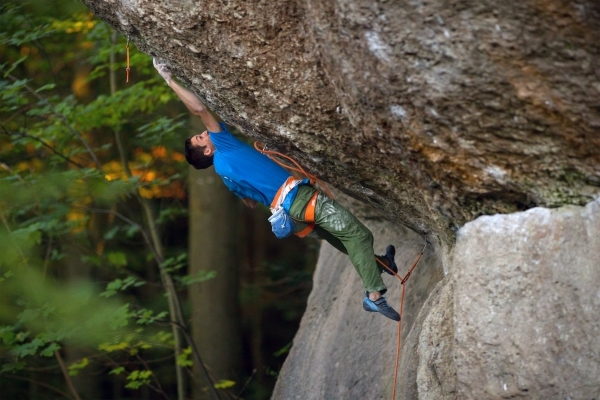 With the first ascent of Action Directe in Frankenjura Wolfgang Güllich introduced a new dimension to climbing. During the years before, he had already revolutionized the difficulty levels. In 1984, he climbed the worldwide first 8b, “Kanal im Rücken” in Altmühltal. And in 1987, he also sent the world’s first 8c, “Wall Street”, in Frankenjura. Taking difficulty to the next level in 1991, Action Directe became the test piece for the world’s climbing elite. At first Güllich assessed it UIAA XI, corresponding to 8c+/9a on the French scale. But then, during the following years, the climbing community agreed to make it a gold standard for the 9a level. Even today it is considered a very special route. Many world class climbers found it a hard nut to crack.